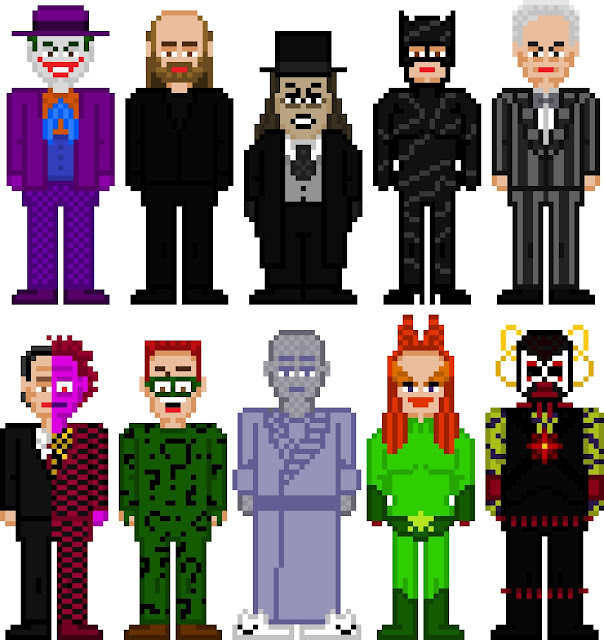 I found Sixteen Bits while gathering art for my previous article The Art of Wrestling. And what find it was. 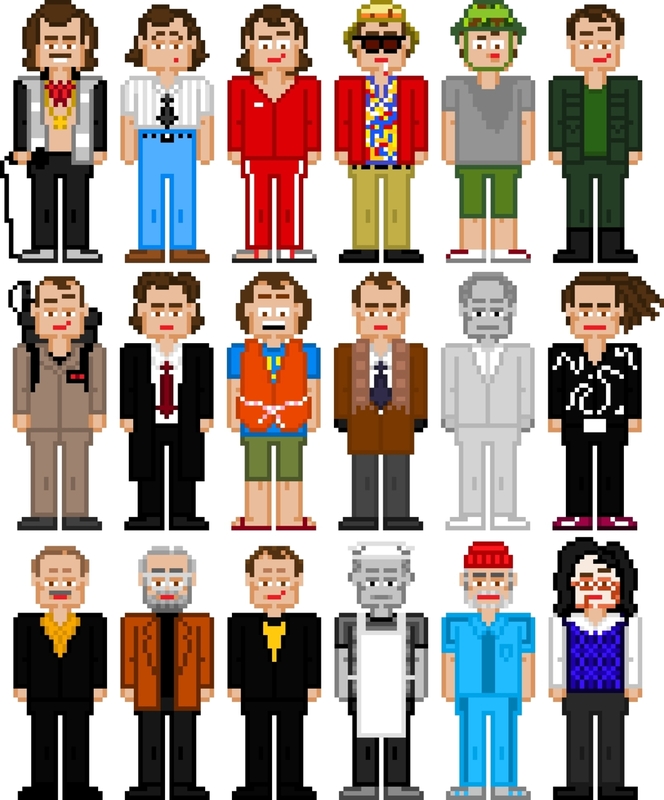 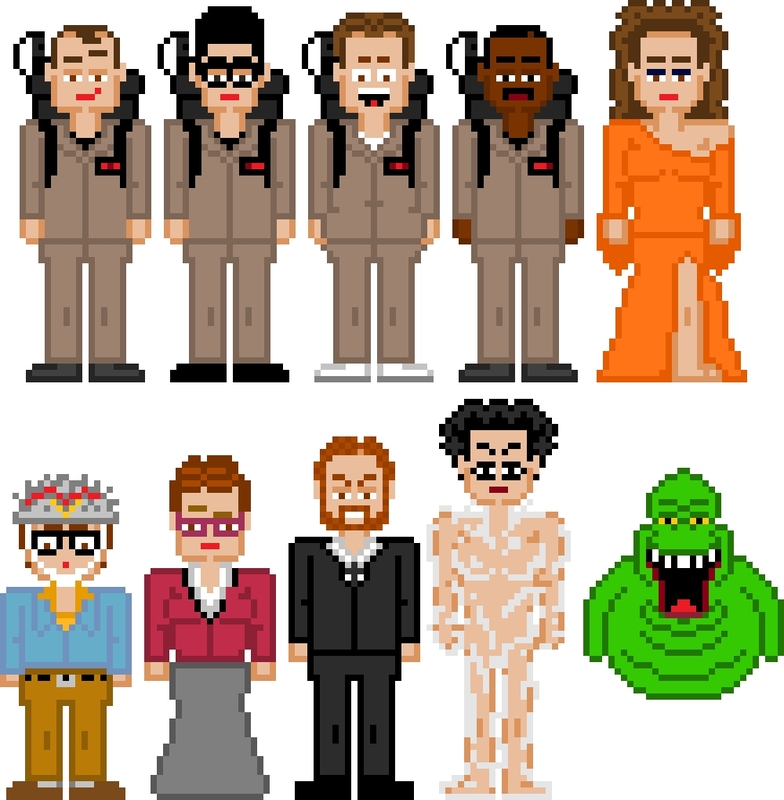 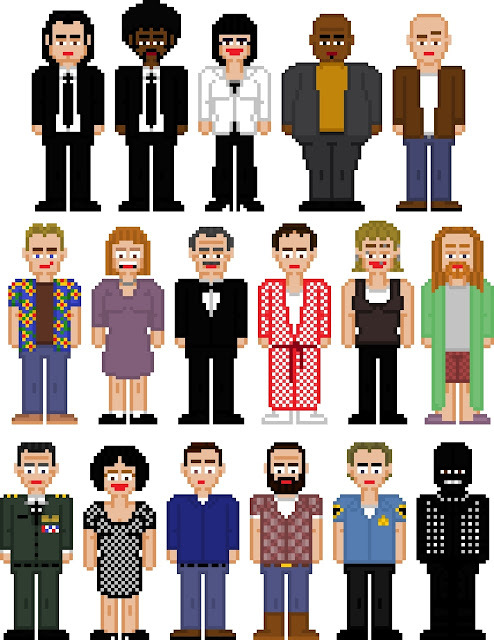 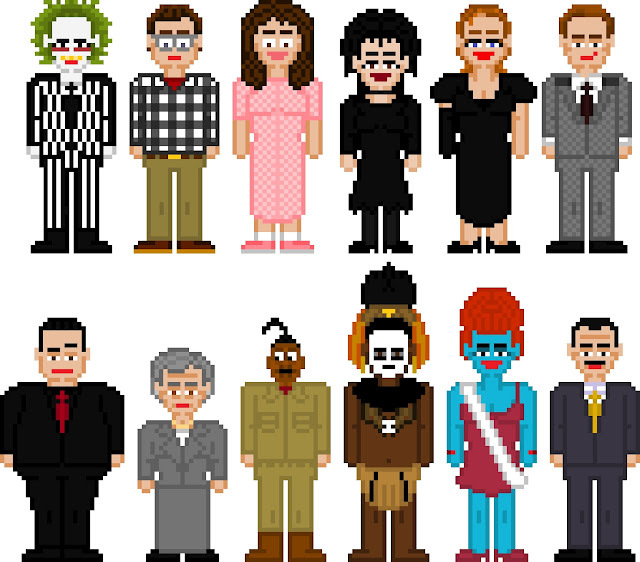 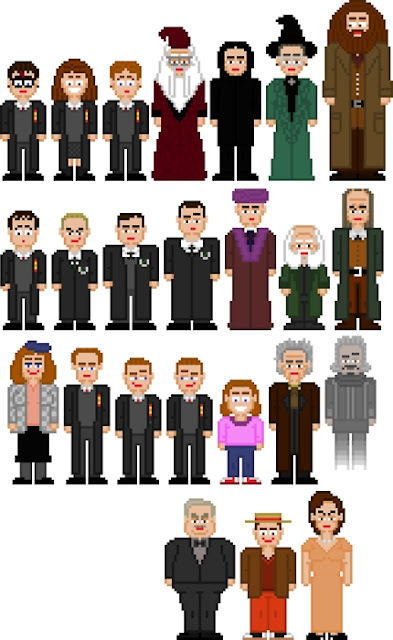 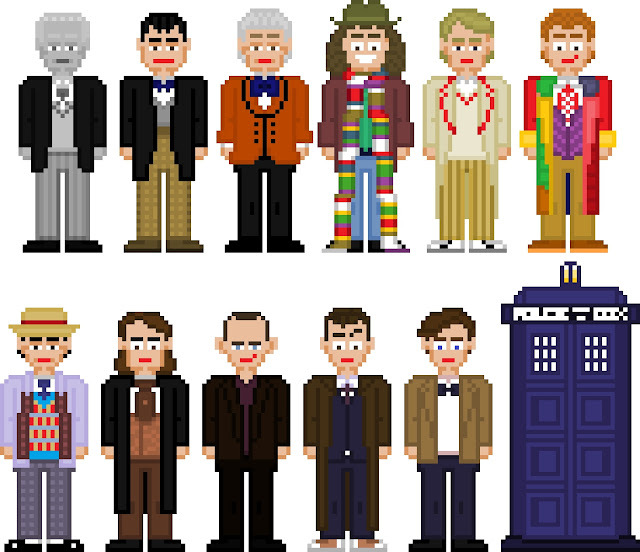 Sixteen Bits has been creating pixel art of.. well, basically every character ever created. His style reminds me of the face-forward background characters (NPC's) in an old school RPG. 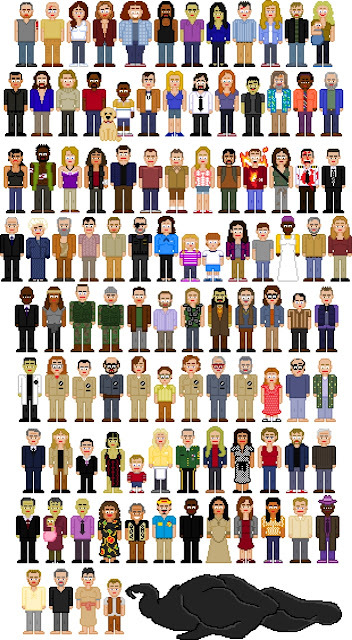 Somehow he was able to capture each characters unique facial expressions using just a few varying pixels. 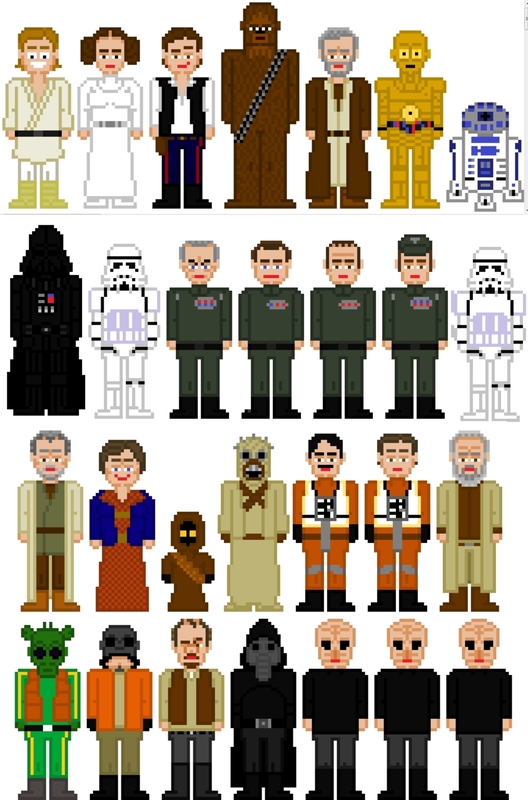 If you are as confused as me on the Lost characters, here's a list of all of them. Click here for the full size image.